Before Shabazz Palaces signed to Sub Pop and released 2011's Black Up, the group led by Ishmael "Butterfly" Butler (of Digable Planets fame) and Tendai "Baba" Maraire issued a couple of EPs on CD and digitally. Now, those mini-releases have been pressed up on vinyl for the first time courtesy of Templar Label Group. 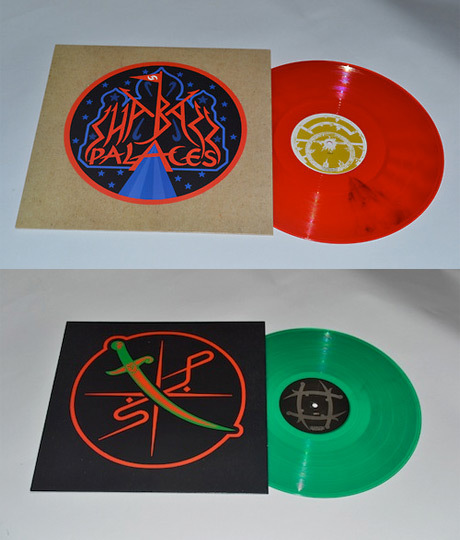 The self-titled Shabazz Palaces has been preserved on red vinyl, while Of Light is on green vinyl. An Insound listing confirms that Shabazz Palaces has the same seven-song tracklisting as the original 2009 release; while the listing for In Light doesn't include the track titles, we're guessing that it's also the same. See the tracklists below and, if you're so inclined, order the records now over here. 5. Capital 5, recorded after hrs at the gun ballad resource cntr on s Sweeper st.